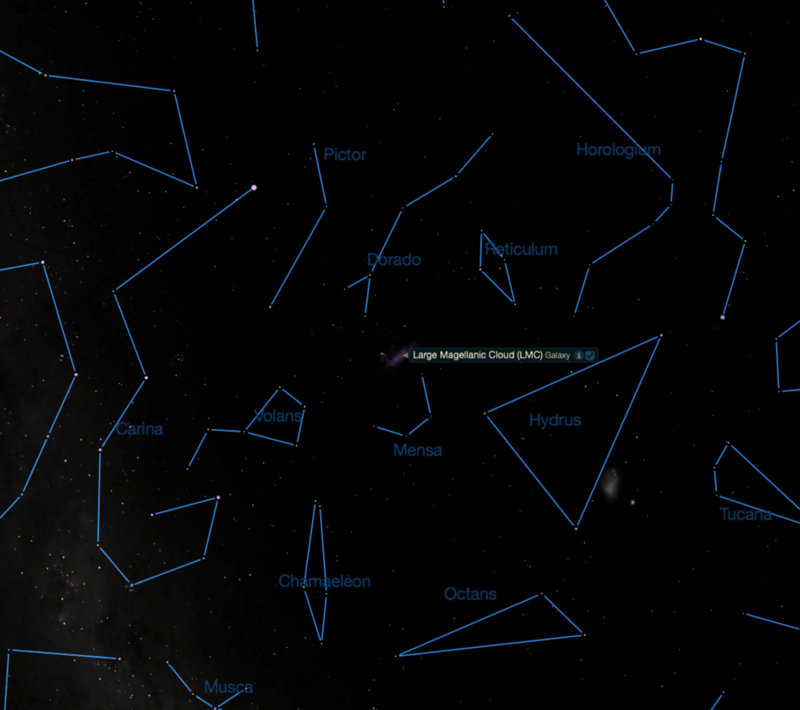 Brilliant treasures lie buried within the constellations. Collected here for your delight: twenty "objects"; favorites of many amateur astronomers. Among these twenty "fuzzy" targets are star clusters, nebulae, and galaxies. They make a rewarding starting point for the exploration of the deep sky. Of course, comets are fuzzies too. Fuzzy, but fickle. Sometimes their orbits (and therefore their return dates) are known. Sometimes not. And you never know in advance just how good—or how disappointing—the cometary show will be. So here, we've chosen to profile only those objects that will always be there for you. Most are visible to the naked eye or with binoculars under a clear, moonless night. This list is just a hint of what's out there. Celestial riches abound, hidden out there among—and beyond—the stars. Eta Carinae (pronounced "ATE-ah ca-RYE-nee") is the largest and most splendid diffuse nebula in the sky, surpassing even the famous Orion Nebula (M42) in size and glory. Only its position far south of the celestial equator prevents this nebula from being a household name. You can't see it from much of the Northern Hemisphere. Eta Carinae is a colossal star-forming region of hot gas, heated by ultraviolet rays from its hot young stars. It covers a full two degrees of sky (four times the width of the full moon). Eta Carinae is obvious to the naked eye as a bright, elongated glow, but that only hints at its telescopic grandeur. With binoculars it appears large and bright. Its nebulosity seems split in two by a V-shaped dark lane of dust, called the Keyhole Nebula. 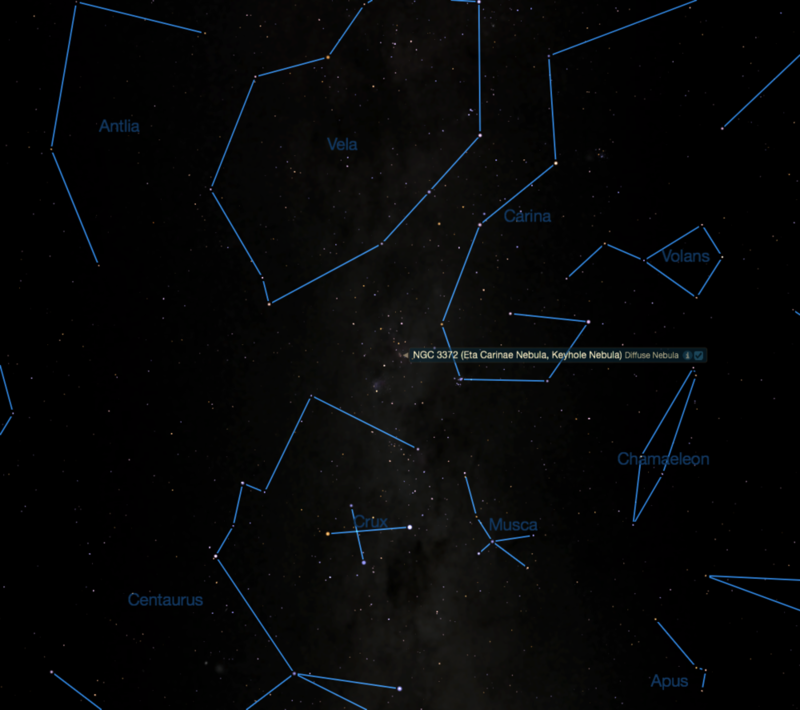 The field of view in most binoculars is just stunning, with Eta Carinae embedded in the star-studded Milky Way. A telescope will reveal many bright wisps, dark lanes, and subtle details that will keep the most ardent observer busy for years. And don't neglect the two open clusters—NGC 3532 and NGC 3114—that flank the Eta Carinae Nebula. The star at the center of the nebula has a unique story to tell. Eta Carinae is one of the most massive stars known, 100 times the mass of our sun. It emits four million times as much light as our friendly local star, making it the brightest object in the sky when viewed through an infrared detector. Eta Carinae is a highly unstable star which fluctuates greatly in brightness. It will undoubtedly explode as a supernova soon. On the cosmic time scale, "soon" means anytime in the next few hundred thousand years. But it could happen in your lifetime. It could happen tonight! Today the star is at the edge of naked eye visibility, but an outburst in the mid-18th century temporarily made Eta Carinae the second brightest star in the night sky, trailing only Sirius—and not by very much! This outburst ejected gas that now surrounds the central star and is known as the Homunculus Nebula, itself a great "fuzzy" for southern sky watchers with telescopes. The Great Orion Nebula (M42) is visible to the naked eye as a fuzzy patch in the middle of Orion's sword. It's called the "great" one because there are other nebulae in Orion. What astronomers call the Orion Nebula is just the central part of a larger cloud that stretches across several hundred light years. Four bright stars in a parallogram near the nebula's center form the so-called Trapezium. They're the spotlights that let us see this celestial show. These hot young stars heat up the surrounding gas clouds, causing the nebula to emit light. The Orion Nebula is full of hot, bright blue stars. It's an area of active star formation. The Hubble Space Telescope has found protoplanetary disks of gas and dust around some of these stars. These disks are about twice the size of our solar system, and may eventually condense to form exoplanets or binary stars. M42 is a veritable catalog of different object types, including multiple stars, reflection nebulae, and emission nebulae. Try to view the Great Orion Nebula whenever you can, with whatever you've got: telescope, binoculars, or your eyes. The wealth of detail visible in this nebula is outstanding. The intricate wisps, shapes, and the contrast between brighter and darker regions will never cease to amaze you. The Andromeda Galaxy is one of the most magnificent objects in the night sky and undoubtedly the most famous galaxy outside our own Milky Way. Persistent staring with your naked eyes will reveal it as a surprisingly large hazy patch. Andromeda covers as much of the sky as five full moons put together! Binoculars will show Andromeda in its entirety along with two of Andromeda's companion galaxies, M32 and M110. Careful observation of the nuclear region with a telescope will reveal faint dust lanes. M31 was once thought to be a nebula inside our galaxy, but in 1923, astronomer Edwin Hubble showed that it was outside the Milky Way. And it wasn't the only one! Andromeda opened our eyes to the true scale of the cosmos. M31 is now about 2.9 million light-years away. It is over 150,000 light-years across and has a mass 1.2 trillion times that of our sun. And it's headed this way! Andromeda will collide with our own galaxy, perhaps five billion years from now. It's larger than the Milky Way too, and will devour us. Or, at least, merge with us. Andromeda's done that before. The Hubble Space Telescope has shown that the Andromeda Galaxy has a double nucleus, indicating that it probably cannibalized another large galaxy. Omega Centauri is the finest globular cluster in the night sky. First discovered by Edmond Halley (better known for predicting the return of the comet that still bears his name) in 1677, Omega Centauri is a blazing ball containing over one million stars in an area larger than the full moon. 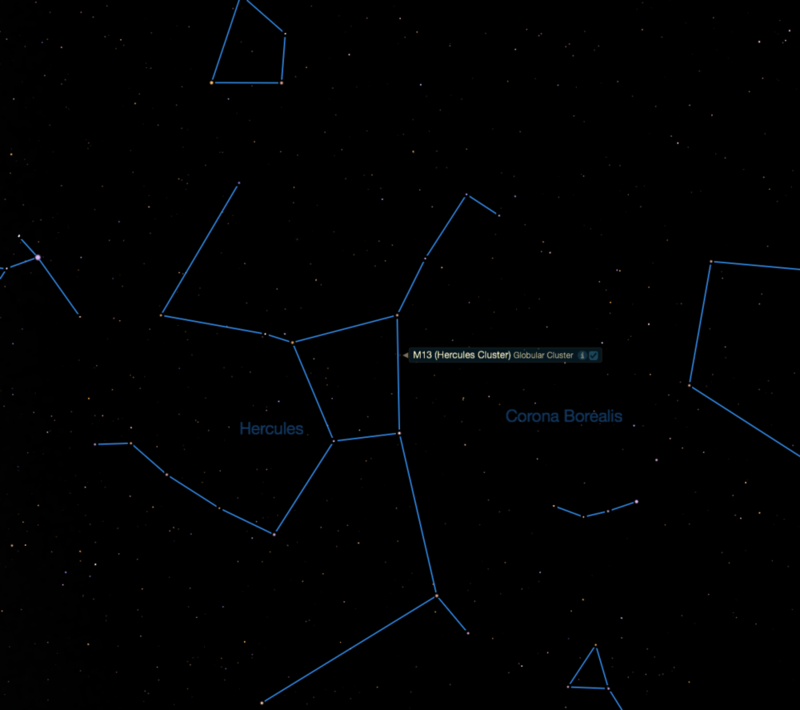 Even the Hercules Cluster (M13) pales in comparison to Omega Centauri. 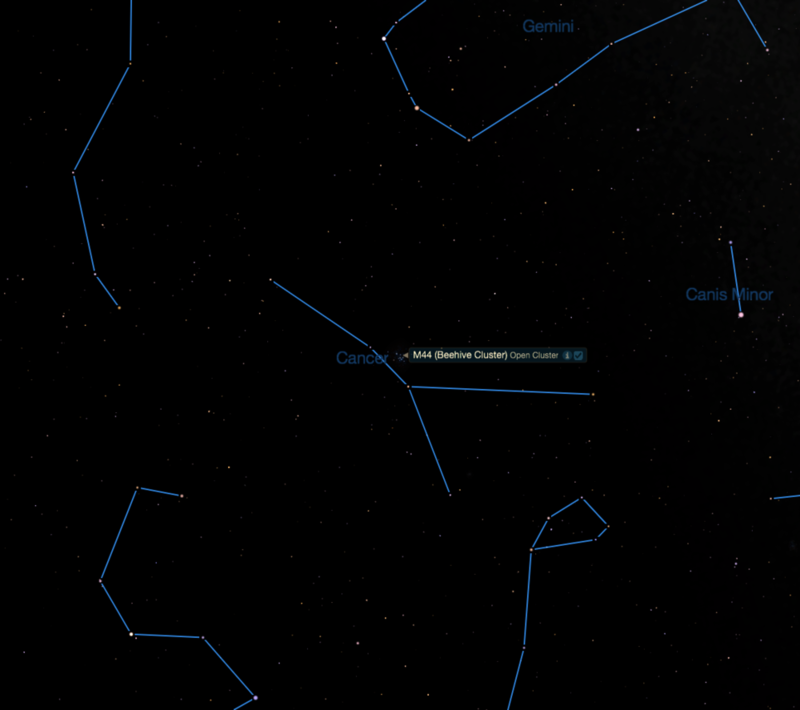 Omega Centauri is visible to the naked eye, but is truly delightful with binoculars. Step up to a telescope and you'll be simply amazed at the number of bright stars you can resolve. Use low magnification to see the cluster in its entirety and then zoom in for a closer look. Omega Centauri's bulk is equal to five-million solar masses. That's ten times the mass of most globular clusters, and as much as some small galaxies. The stars in Omega Centauri did not all form at the same time, indicating that it may be the nuclear remnant of a small galaxy that merged with the Milky Way sometime in the distant past. The Great Hercules Cluster (M13) is one of the sky's most precious jewels and among the best globular clusters in the Northern Hemisphere. Visible to the naked eye under dark skies, M13 looks like a fuzzy ball of light in binoculars. A moderate-sized telescope and high magnification shows a blazing ball of stars with many individual members resolved. The Great Hercules Cluster contains about 400,000 stars, spread across 140 light-years of space. The star density near the cluster's center is extremely high, with stars separated by only a few astronomical units. M13 was originally discovered by Edmond Halley. Because it compacts a lot of stars in a small area, M13 was selected as a target for one of the first radio messages broadcast to extraterrestrials from the Arecibo Observatory in Puerto Rico. But don't stay on hold waiting for them to pick up the call. If alien civilizations exist in the Great Hercules Cluster, we won't receive their reply for at least 50,000 years; M13 is 25,000 light-years from Earth. The Large Magellanic Cloud (LMC) is one of the closest galaxies to our own Milky Way. It's only 180,000 light years away, and closer than its companion galaxy, the Small Magellanic Cloud. But don't expect the LMC to have that classic spiral galaxy shape. Because of the gravitational attraction of the Milky Way—which is ten times larger—the Large Magellanic Cloud has an irregular shape and no central core. The LMC spans several degrees in the southern sky and can be easily seen with the unaided eye by observers south of the equator. But it was unknown to Europeans until the voyage of Portuguese explorer Ferdinand Magellan in 1519. It appears as a huge and diffuse cloud in the sky and contains a treasure trove of celestial objects. Amongst its many interesting sights are nebulae, globular and open clusters, planetary nebulae, dust clouds, and a giant region of hydrogen gas. In 1987, supernova 1987A exploded in the LMC, the nearest supernova in 400 years. The most prominent object in the LMC is the Tarantula Nebula, a large diffuse nebula. Sweep through this region with binoculars and rich field—or wide angle—telescopes to take it all in. But don't forget to zoom in afterwards and take some closer looks. The Pleiades is the most famous of all open star clusters, containing around 500 members set against a black velvet sky. This young first magnitude open cluster is easily visible to the unaided eye and resembles a smaller version of the Big Dipper. At least six hot blue stars are readily visible and keen-eyed observers can see more. It's a large diameter object; fully two degrees or four full moon-widths. 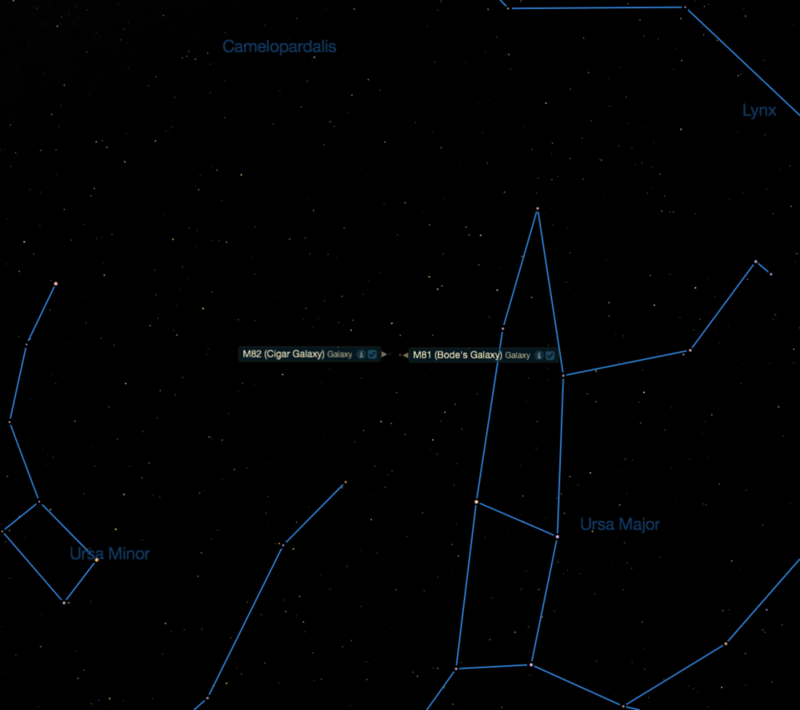 So M45 is best seen with binoculars. A faint veil of nebulosity surrounds the brightest Pleiades members, with the most easily observable patch being the Merope Nebula (IC 349), which surrounds the star Merope. These reflection nebulae are not remnants of the gas cloud where the Pleiades was born, but a chance cloud of dust that the cluster is passing through. In some ancient cultures, ceremonies to honor the dead were held on the day when the Pleiades reached its highest point in the sky at midnight (this is around Halloween). Ancient Aztecs believed the Pleiades would be overhead at midnight the day the world ended. NGC 6231 is one of the prettiest premium open clusters in the sky. It shines at magnitude 2.6 and spans an area half that of the moon. It's easy to mistake it for a comet. You can imagine the stars Zeta 1 Scorpii and Zeta 2 Scorpii forming the comet's nucleus and NGC 6231, Collinder 316, and Trumpler 24 to the north forming the tail. This very young open cluster (about three million years old) contains lots of young hot giants and supergiants. It also contains two extremely rare Wolf-Rayet stars, which are very hot, massive stars rapidly bubbling off their bulk and converting it to super-hurricane-force stellar winds. The famous Double Cluster in Perseus is one the night sky's finest jewels. NGC 869 and 884 are a pair of bright and large open clusters embedded in the faint glow of the Milky Way. This double cluster is visible without optical aid, but binoculars are required to separate the two clusters, which are half a degree apart. A rich-field telescope gives the best view of the Double Cluster, with many stars of differing brightness visible. NGC 869 is more tightly packed than NGC 884. Both clusters are about 7,000 light-years away and are part of the Perseus arm, one of the spiral arms of our Milky Way. The two clusters are actually a few hundred light-years apart. The Small Magellanic Cloud (SMC) is an irregular galaxy orbiting the Milky Way. Your eye will see it as a hazy patch of light in the sky about three degrees across. But you have to be pretty far south in the Northern Hemisphere or south of the equator to see it. Because of its low surface brightness, it might not be visible in the light-polluted skies of cities. It is best viewed with binoculars and telescopes under low magnification. Portuguese explorer Ferdinand Magellan was the first European to note the galaxy, during his attempted circumnavigation of the globe in 1519. Magellan promptly adopted the SMC as a navigational aid. The SMC is 200,000 light-years away, slightly more distant than its neighbor, the Large Magellanic Cloud. It is a small galaxy, with an estimated mass of two billion suns. Gravitational interactions with the Large Magellanic Cloud and the Milky Way have distorted its shape. M57 is called the Ring Nebula and it's obvious why. Astronomers estimate that the shell of this planetary nebulawas blown off about 20,000 years ago. The different colors of the shell visible in photographs represent different elements. Helium gas emits blue light, oxygen emits green light, and carbon emits red light. The apparently empty region between the shell and the central star is actually filled with gas. This area only appears as a void because it is so hot that the gas emits most of its energy as ultraviolet rays instead of visible light. M57 is tiny but bright when viewed from the Earth. Because its brightness is spread over a small area, it is best viewed under high magnification. The 14th magnitude central star (a white dwarf) is difficult to identify without a fairly big telescope. M81 and M82 are perhaps the most famous pair of galaxies in the sky. Both can be seen in the same low magnification field of view and both are spiral galaxies. However, M81 is viewed nearly face-on, while M82 is edge-on. M81 is one of the brightest galaxies in the Messier catalog and can be seen with most binoculars. Long exposure photographs display two prominent spiral arms, which may also be observed with larger telescopes. M81 and M82 are separated by only 150,000 light-years. This could have been the scene of a colossal cosmic collision. It's astounding to realize that what you're actually seeing is the result of a very near miss. Tens of millions of years ago, the larger (and ten times as massive) M81 passed close by its smaller neighbor. As a result of the rising star tides during that encounter, M82 now glows with the fireworks of starburst formation. The Whirlpool Galaxy might just be the most impressive galaxy for amateur astronomers. It is easy to locate with binoculars and it lies just over three degrees northwest of Alkaid, the star at the end of the Big Dipper's handle. The Whirlpool is a face-on galaxy, making its spiral structure easy to observe. 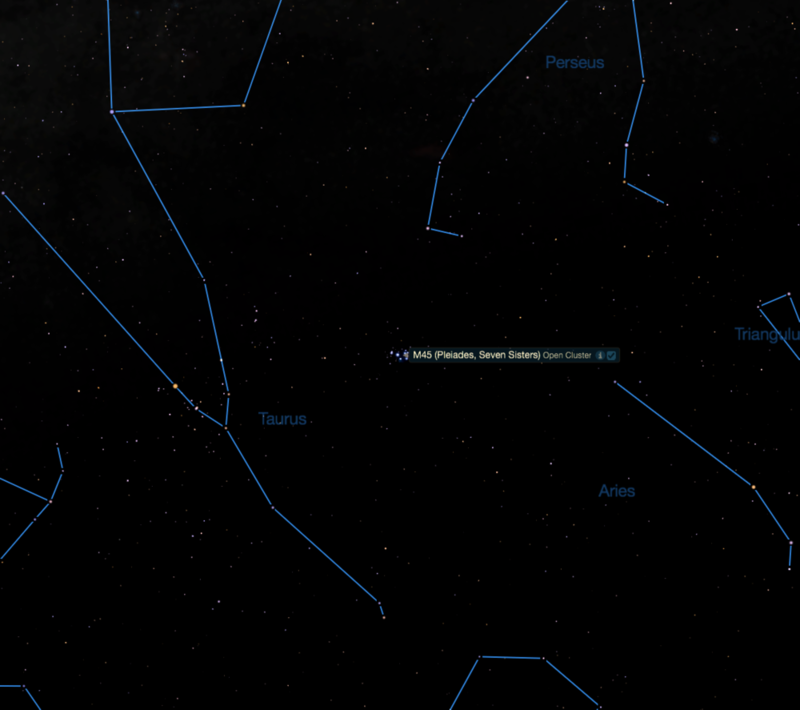 A telescope, dark skies, and moderate power will begin to reveal the spiral arms. M51 has a bright central core but no stars can be resolved. The core likely contains a supermassive black hole. Of special interest is the bridge of nebulosity that connects M51 to its companion galaxy, NGC 5195. The gravitational pull of NGC 5195 is touching off a volley of new star-formation in the Whirlpool Galaxy. The Lagoon Nebula (M8) is a magnificent object easily seen by the naked eye as a large hazy patch in the sky. The Lagoon is a bright emission nebula with an embedded open cluster. The cluster of young stars is heating the nebula's gas and causing it to emit light. With binoculars you'll see the dark lane that divides the nebula's brighter regions and gives this object its name. A small telescope begins to reveal this nebula's intricate folds and dark regions amidst brighter areas. Dark Bok globules in the nebula mark dense clouds of gas and dust. These are sites of star birth. The Trifid Nebula lies close to M8 and both nebulae can be seen in the same binocular field of view. The Beehive Cluster was first described by Galileo, but it has been known as long as humans have watched the skies. It is easily visible to the unaided eye as a faint round patch of luminosity. Your binoculars will reveal a cosmic swarm of bees, buzzing with gravitational energy. Many of these stars are close enough to attract each other and the cluster contains many double stars. The Beehive occupies 1.2 degrees of sky and is set against a region of low star density, making it stand out even more. The cluster contains several hundred stars and may share a common origin with the Hyades Cluster. The Crab Nebula is the remnant of a star that exploded as a supernova in 1054 A.D. The supernova was visible in the daytime for 23 days, shining four-times brighter than Venus. The supernova was visible to the naked eye in the night sky for almost two years before fading out. What we see today is the gaseous material ejected by the exploding star. This material is moving outward from the nebula's center at 1,800 kilometers (1,080 miles) per second. At the nebula's core is an extremely dense neutron star or pulsar, which rotates 30 times per second. Astronomer Charles Messier observed the Crab Nebula in 1758 while searching for Comet Halley. This was the inspiration for Messier to develop a list of all celestial objects that might be mistaken for comets—the Messier catalog. The Crab Nebula is the only supernova remnant in the Messier catalog. The Crab Nebula can be a disappointing object for stargazers. Look for a dim, elongated glow in a small telescope or good binoculars. A network of fine filaments can be glimpsed with a large telescope under dark skies and averted vision. Discern the classic "S" shape of the nebula's central region. The central pulsar is, of course, tiny and is not visible. The Rosette Nebula is a vast cloud of dust and gas spanning more than the width of two full moons. Open cluster NGC 2244 formed inside the Rosette Nebula. The hottest young stars in NGC 2244 excite the surrounding gas clouds, causing the nebula to emit light. The Rosette Nebula is about 130 light-years in diameter and 5,500 light-years distant. A huge jet of hot ionized gas (plasma) extends out from the nucleus, but it is only visible through the largest amateur telescopes. Despite its huge size, M87 resembles an unresolved globular cluster. It's like a titanic puffball and offers little in the way of details in small telescopes. A tiny 11th magnitude elliptical galaxy, NGC 4478 can be observed close to M87. The Eagle Nebula is the subject of the most famous Hubble Space Telescope photo, the "pillars of creation" image that shows columns of cool hydrogen gas and dust protruding from a molecular cloud. New stars are being formed within these clouds. A young, hot cluster of stars lights up this emission nebula in the Sagittarius spiral arm of the Milky Way, which is a treasure trove for amateur astronomers. Many nights can be spent with the naked eye and binoculars scanning this area. The "Big Chicken," as it's sometimes called among amateur astronomers, is visible as a hazy patch under dark skies with the unaided eye. The view through binoculars can be breathtaking with M16, M17, M18, and M24 framed in the same field of view against the background glow of the Milky Way. M16 itself is an open cluster surrounded by a haze of nebulosity. Although not as spectacular as in photographs, this is nonetheless a tantalizing object best seen with binoculars and with low power in telescopes. A possible satellite of the Andromeda Galaxy, the Triangulum Galaxy is quite small, with a mass one-seventh that of the Milky Way. In a truly dark and transparent sky, one may be able to get a glimpse of this galaxy, making it one of the most distant objects visible to the naked eye, at 2.9 million light-years. Binoculars show that M33 has an oval glow while a telescope will begin to reveal subtle details. These twenty great fuzzy targets are just the barest beginning! Congratulations, you're now an astronomically wealthy individual! If you'd like to follow along with NASA's New Horizons Mission to Pluto and the Kuiper Belt, please download our FREE Pluto Safari app for iOS and Android. It is available for mobile devices. Simulate the July 14, 2015 flyby of Pluto, get regular mission news updates, and learn the history of Pluto. Simulation Curriculum Corp. All rights reserved.